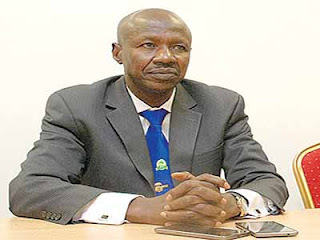 The acting Chairman of the Economic and Financial Crimes Commission (EFCC), Ibrahim Magu has disclosed that the agency has in the last eight months recovered more stolen funds and properties more than it did in the last 12 years. Magu said this yesterday when he received participants from the National School of Public Policy, Pakistan. The group visited the EFCC headquarters on a study tour of the Commission. Magu, who has declared corruption as crime against humanity, attributed the huge recoveries to the political will of the current administration. He noted that it was the first time in the country that a civil organization was investigating the military and prosecuting both serving and retired military officers. Magu announced that EFCC will soon arraign some of the judges being accused of corruption before competent courts of law. He said the Criminal Justice Administration Act has removed unnecessary interlocutory court injunctions as there can no longer be more than eight adjournments during the process of justice in Nigeria.